lythechambermusic | Chamber music courses in Lythe (North Yorkshire). Historic instruments in a historic setting. Chamber music courses in Lythe (North Yorkshire). Historic instruments in a historic setting. The original inspiration for the Lythe Chamber Music Course was the world-class historical instruments produced in Lythe by Johannes Secker. 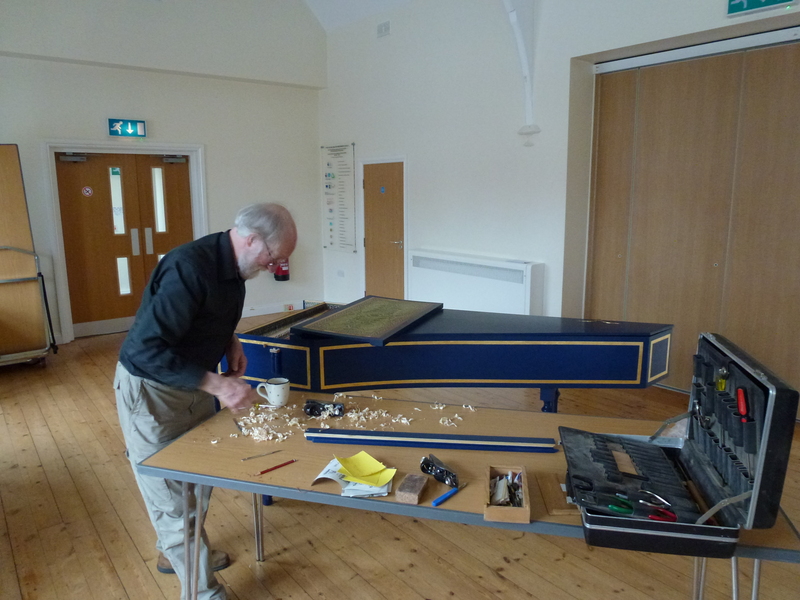 Johannes’ most recently completed keyboard, a copy of a Stein fortepiano from the mid 1780s, was given its first public outing in August 2013 at the North York Moors Chamber Music Festival. A concert in St Oswald’s Lythe, including the Piano and Winds Quintets by Mozart and Beethoven, played by members of Ensemble DeNOTE, showed this remarkably versatile instrument in repertoire from the late 18th/ early 19th centuries. Its sophistication of colour and touch immediately inspired pianist John Irving to seek to record a CD of Haydn Sonatas on the instrument (completed in St Oswald’s in April 2014). DeNOTE clarinettist Jane Booth conceived of the idea of a mini-festival in Lythe celebrating Johannes’ craftsmanship by featuring some of his recent keyboard instruments in a short educational course. Lythe Chamber Music Course was born over coffee at Johannes’ house in Lythe one morning. Just under a year later, the inaugural course took place in Lythe, just yards away from the workshop in which some of these instruments were built. Both Jane and John have close connections to a number of historical instrument makers and to expand the reach of the Lythe Chamber Music Course it was decided to include also tuition on historical woodwinds, featuring early clarinets and chalumeaux (the predecessor of the clarinet). We were lucky to secure a visit by clarinet maker Guy Cowley, some of whose recent instruments also featured in the course. Both Johannes and Guy gave illustrated talks on their work as instrument builders, allowing students on the course to experience in detail the working methods and gain an insight into the technology behind the instruments they play. We hope you enjoy learning about Lythe Chamber Music Course activities on these pages. The skills of the various tutors are available year-round, not simply during the course. If you would like to get in touch about future Lythe Chamber Music activities, ask about consultation lessons, or enquire about period instruments, please do so using the Contact Form below and we’ll put your enquiry through to the right person.